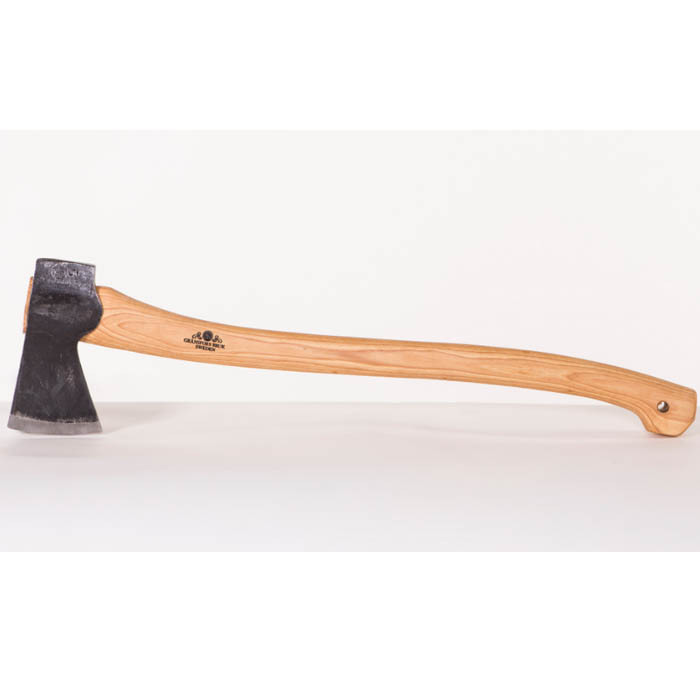 The Gransfors Scandinavian Axe is a more profesional axe for those who want to limb a felled tree in the traditional way. Forged to a thin, curved bit and sharoened to make it suitable for cutting branches in fresh, resinous wood, spruce or pine. The long handle gives extra strength and power to the cut. The axe has a 3 1/2" face. The head weighs 2 lb.